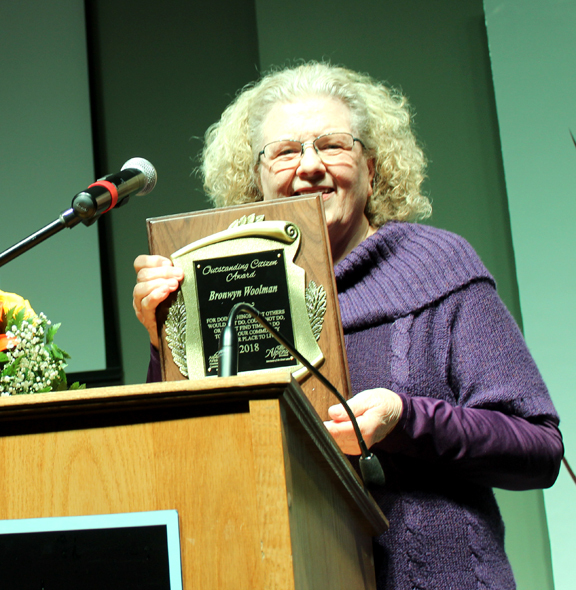 News Photo by Steve Schulwitz Bronwyn Woolman was named the 2018 Outstanding Citizen of the Year in Alpena Thursday night during the Alpena Area Chamber of Commerce annual dinner at the APlex. Woolman has been a volunteer in Alpena on many different levels and has helped to improve the lives of many children. 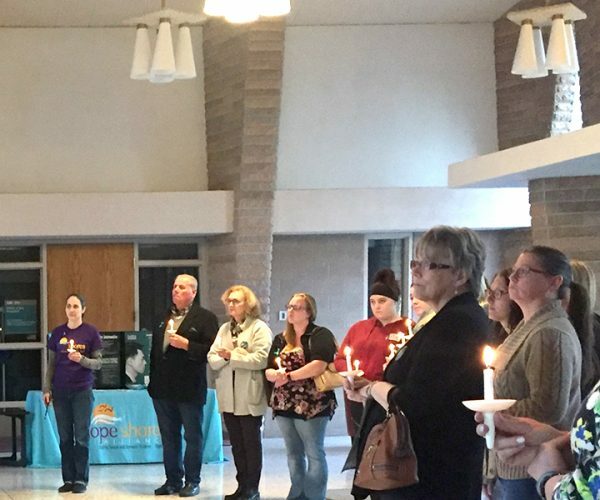 ALPENA — The ice storm Thursday wasn’t strong enough to dampen the excitement and anticipation leading up to the announcement of the 2018 winner of the Alpena Outstanding Citizen of the Year at the Alpena Area Chamber of Commerce dinner at the APlex and when the winner was unveiled she was greeted with applause, cheers and whistles. The winner of the prestigious award is Bronwyn Woolman, who has dedicated a large portion of her life to helping others, especially young adults. Woolman, who is a mother of 10 and has fostered more than 50 children, is a staple in Alpena when it comes to volunteering. She has a long list of community involvement and volunteering efforts in the community, helping out at her church, local elementary schools, Salvation Army, Girl Scouts and many other groups and organizations. She has also worked hard in the arts and culture sector of Alpena. She assists the theaters in town with photography and helps graduating seniors whose families may not be able to afford senior pictures by doing it for them. Woolman realized she was the winner of the award shortly before her name was announced when the master of ceremony mentioned her biological and foster children and became emotional as she readied to address the crowd. Woolman thanked her husband Fred for the support he provided that has allowed her to do the things she loves and help make a difference in the lives of people in Alpena. Woolman wasn’t the only winner announced during the event as several businesses were recognized as well. 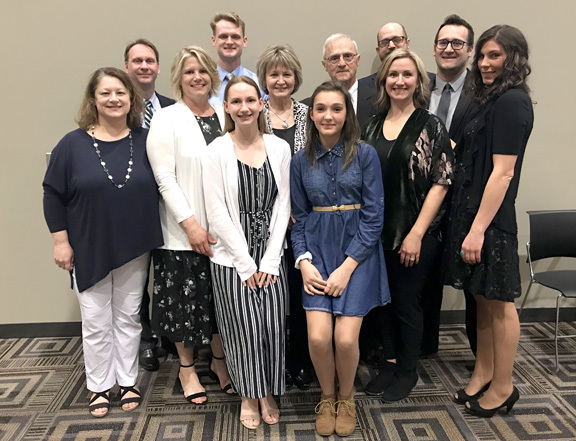 Alpena Alcona Area Credit Union won Business of the Year, McDonald Bros. Collision received the Customer Service of the Year Award and Annie Wilk won the Culture Change Agent Award. David Cummins won the Connecting the Classroom and Business Award and Audra Smith was presented the Ambassador of the Year Award. MidMichigan Health-Health Leadership Award was won by Home Depot and the Alpena Community College Michigan Workforce Development Award went to Decorative Panels International and Lafarge.